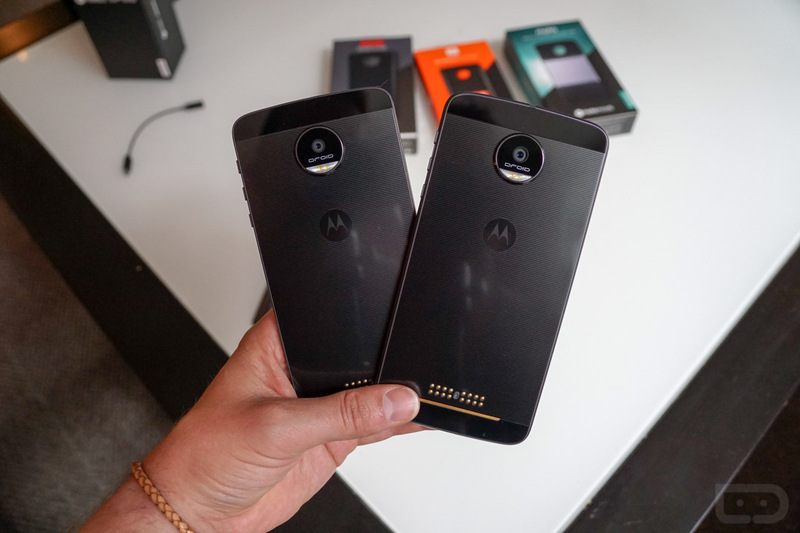 You may have heard, but there was indeed a media gathering in New York today, hosted by Motorola and Verizon, that allowed the press to get a second look at the Moto Z DROID and Moto Z Force DROID (those are the official names now, by the way). Maybe even more importantly, it was a chance for us to all get review units as we approach launch day. And get review units did we ever. We have them both – in hand! So, we unboxed! Of course we did. I know that you have all watched Tim’s initial hands-on videos from the Lenovo Tech World unveiling, but this is a chance to see final units, in boxes, and to see what comes in those boxes. We’ll have a lot more over the next few days, so stick with us! UPDATE: Software tour now posted as well!